​The ​New Orleans Saints got off to a rocky start against the ​Eagles in their ​NFC Divisional Round matchup, but they have managed to get some points on the board before halftime. 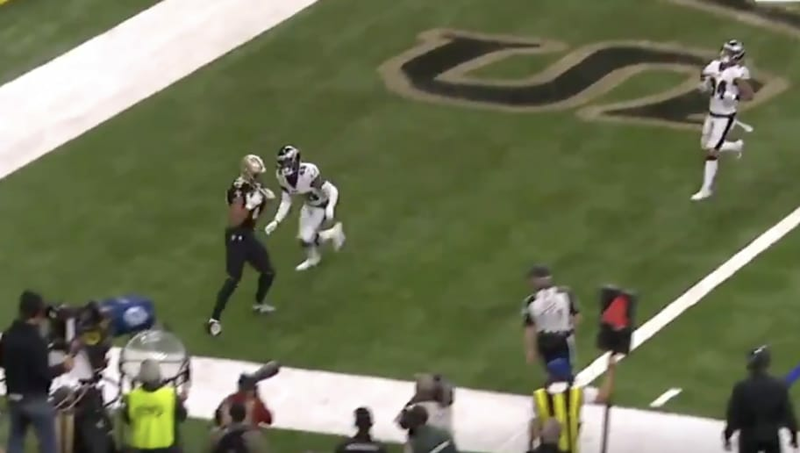 The Saints opted to go for it on 4th and goal and Drew Brees managed to find Keith Kirkwood in the corner of the end zone for a big score. Kirkwood tapped both toes down as he reeled in the pass to decrease the lead to 14-7. It was the rookie's third career touchdown reception and first postseason touchdown catch. The two-yard reception was the 25-year-old's first catch of the game, and it was a big one.